Barrier Free Pans Pans:offer Ramping Entry & Sloping Entry (that is often referred to as No-Egress). 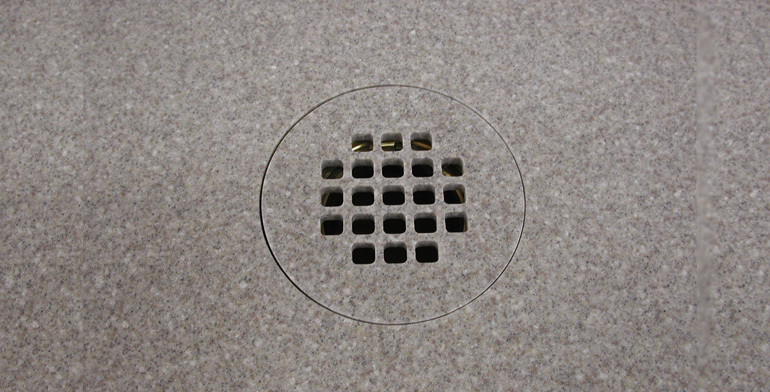 You can choose if you would like a Standard Drain or an Trench Drain. The added value of “Overflow Protection” makes Grifform® the premiere product. For the care provider, assistance is greatly enhanced by accessibility and less danger from water spillage and unnoticeable restriction at the entrance greatly reduce safety issues while assisted bathing is required. Purchaser is responsible for verifying that specification of shower pans meet local ADA requirements. and respond to a specific need? How does this product contribute to quality of care? What is innovative and unique about this product? Q: How long has your company been producing products made with Corian®? A: Grifform Innovation® has been producing Corian® (solid surface) products since 1984. Q: Do you build custom shower pans? A: Yes, this is the most asked question we get. We have built solid surface shower pans from 1998 forward. This is one reason we have accumulated such a variety of options, experience has allowed Grifform® the opportunity to meet the daily challenges of the market place. Not every application is the right solution for a particular situation. 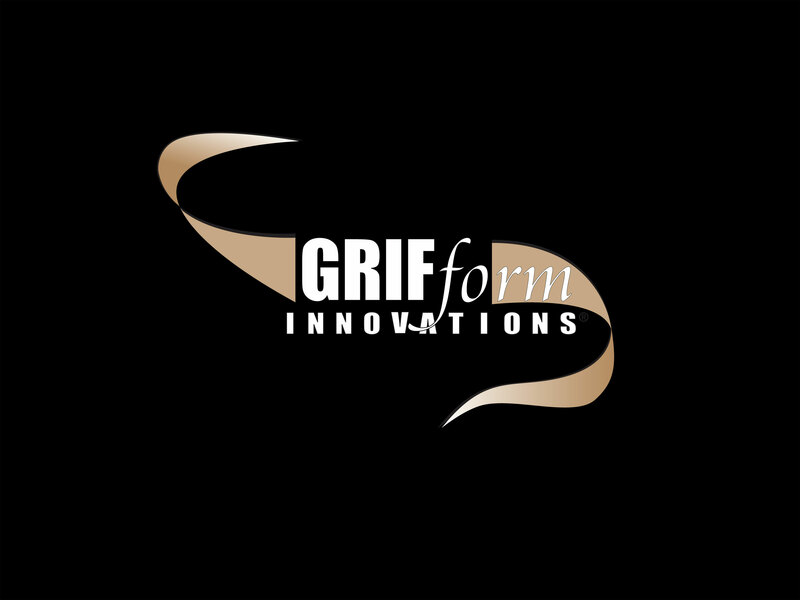 Grifform® has developed solutions to satisfy these many varying challenges. A: No, shipping costs are determined by the destination, weight and zip code. Grifform® will provide you with an estimated cost for the product you are requesting and the transporters approximate shipping time. Q: Are the shower products you build made for commercial applications? A: Absolutely, Grifform® has furnished shower pans to many different industries. Some are Hospitality, Municipalities, Healthcare, the R.V. and Marine manufactures and even Offshore Drilling platforms. The robust design and solid surface material can endure the industrial demands of commercial applications. Q: Do you produce your products with other than Corian® solid surface? A: All of the products produced by Grifform® are made using DuPont tm Corian.® Some of our products can and are made from other brands of solid surface. Q: Would you explain the differences between the Straight Wall, Square Wall or Coved Wall variations? The straight wall option is built to allow the shower wall panels to extend directly to the floor of the shower pan and are the most requested and economical shower pan. This straight wall option will accommodate the thickest shower walls of all that Grifform offer. 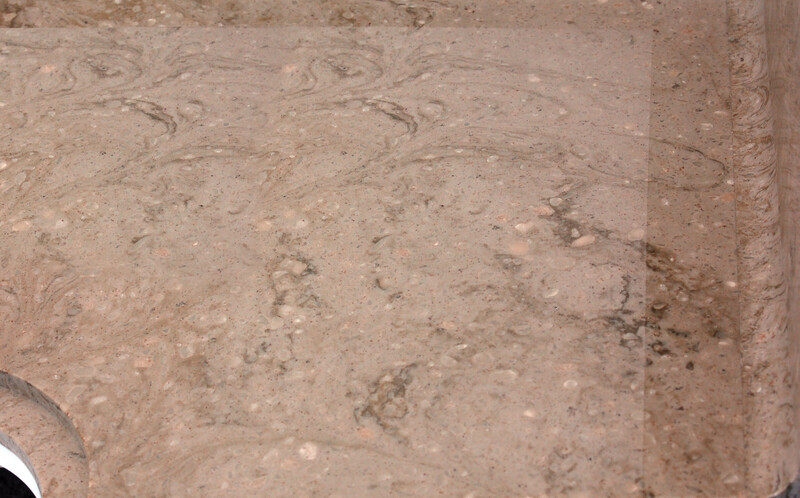 Generally used with shower walls of heavier weight, like Granite where the weight is baring primarily on the floor. The square wall option provides for the shower wall panels to sit on a ledge nearly 3” from the shower pan floor with a square corner at the wall and floor line. The coved wall option is the premier offering, providing a smooth round inside corner at the floor and inside corners of the pan. This coved option also provides for the shower wall panels to set up above the floor as with the square option and both of these types allow for ¼” and ½” material thicknesses. Both the square and coved options allow for different wall material alignments as you prefer. Q: How do I know the shower pan will fit? A: We will generate drawings based on your specific information, which you can compose in the product request form. Open the product tab on the home page and select an item by clicking on the item you wish to preview. Options will appear and information will allow you to enter dimensions specific and variations to your shower pan needs. Upon processing your order, drawings will be produced that represent what will be built to your request. The information you provide will also include the exact drain location which will make it possible to rough in the plumbing even before your new Grifform® shower pan arrives. Q: How do I care for my shower pan? A: Materials the Grifform® shower pan is constructed of is easy to care for and is described thoroughly in the DuPont™ Corian® care guide. The great feature of your Grifform® shower pan is that it can be cleaned with soapy water or ammonia-based cleaners and sponge or Comet® abrasive cleaner and a Scotch-Brite® pad, without any worry about damaging the surface. Unlike any other shower materials, the cleaning renews the surface and will help it look like new. Soap film, dirty grime and body oils are easily cleaned without fear of damage and rinsed away. Because the material is non-porous it does not harbor bacteria or molds that makes it ideal for use in the shower and bathroom areas. Q: Does Grifform endorse any particular sub floor? A: Grifform® does not require any particular sub floor or flooring preparation products. We suggest applications that customers have found satisfied their subfloor needs. All product instructions, guidelines & limitations should be applied as recommended by the product manufactures. It is always recommended to do testing of any product before implementing completely. Q: How do I install a shower pan? A: The Grifform® shower pan is one of the easiest units available to install. The installation guide will take you step by step through the process which can be done in just minutes in some cases. Grifform® has engineered design features into each unit to provide for simple quick installation, and have designed them to accommodate a wide variety of wall surfacing material, should you choose to use wall materials other than Corian®. Q: What type of sub floor does it require for installation of a shower pan? A: The unit is designed for installation on frame or concrete slab construction. The Grifform® shower pan has all the necessary support built into the unit and needs only a level and sound floor. If those conditions need improvement, suggestions are provided and materials are recommended. Q: What is the offset requirement for the shower wall? A: This is one of the most commonly asked questions and perhaps the one with the most possible answers. Grifform® has designed the shower pan unit to be the most adaptable unit of its kind for the use of differing adjoining materials. As different materials are applied on the shower walls it changes the location of the pan to the wall when installed. You can follow the rough in guide that will direct you through how to determine the right placement for your choice of wall surfacing material. Q: Do you have non-obtrusive threshold options? A: Grifform® has many different configurations that satisfy those having reduced mobility. However growing numbers are using this option just because they like the appearance and flexibility it affords them later. Many options are being employed now that were not considered necessary in the very recent past. Grifform® has embraced this growing need providing tub replacement units that are made specifically for this application with level and shallow ramping entries for easy wheel chair and walker access. Q: Are there any options for extra slip resistant surfacing on shower or bathroom floors. A: The Grifform® shower pans and floors are constructed of solid surface material with a gradual slope. Grifform® provides a slip resistant surface on all “Barrier Free” models as a standard specification. This surface treatment has been certified to be in conformance with ADA requirements. Q: What is a Trench Drain Pan? A: The Grifform® shower pans have many different demands one is to prevent water to exit the shower without likely hood of possible accidental blockage. This can be more likely when garments or toweling items might be dropped inside the shower compartment. There is a greater potential for this kind of event happening in these ADA situations. For the added protection Grifform developed this system built of solid surface materials that is durable, inconspicuous and provides easy tool-less removal of the trench cover for easy cleaning. Select one of the many Wall Variations below by clicking the next and back arrows. Select one of the Entry Variations below by clicking the next and back arrows. Select one of the Drain Variations below by clicking the next and back arrows. Slip Resistant Surface Samples Slip Resistant Surface is required by code on all ADA Units ADA slip resistant surface is mandatory and included. Select A Height 72" 96"
Designed for use with preformed shower bases. Construction Adhesive is used to apply onto the floor which bonds the shower pan in place. This has slow tack for adjusting alignment of the drain and wall clearances. Colored Silicone is provided for sealing between the walls and the shower pan. These are called soft seams; they are flexible, allowing expansion and contraction which is necessary. Note: This is required. (Grout) cannot be applied in this application. For repairing unlevel floors and for repairing rough, pored, screeded and unfinished concrete surfaces. Use for repairing rained-on and frozen concrete. Use for repairing floors before the installation of carpets, resilient flooring, wood flooring, ceramic tile, marble, granite and slate floors. Use for leveling floors over ceramic tiles, cement terrazzo and old cutback adhesive residue, and horizontal concrete surfaces.